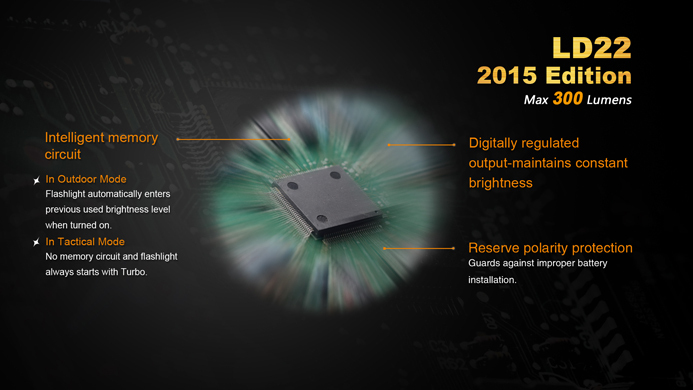 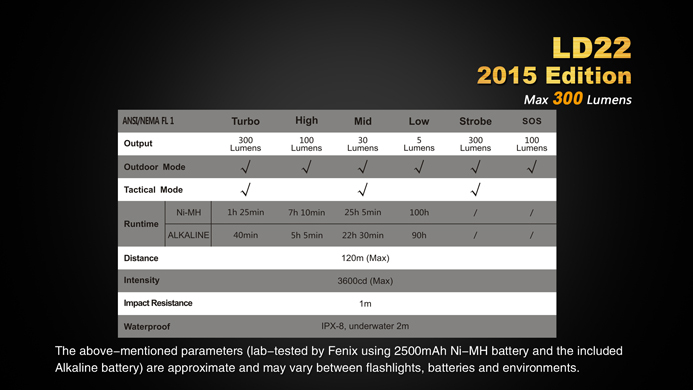 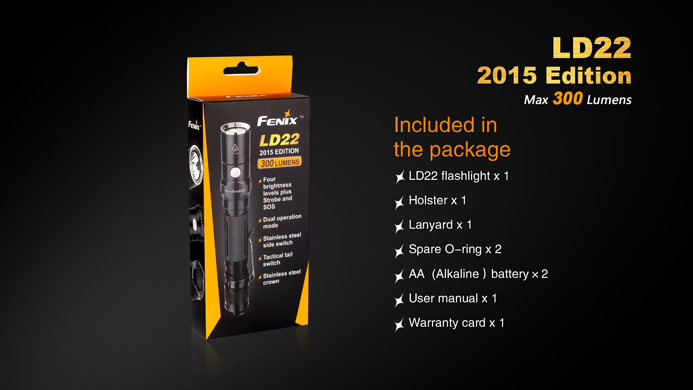 Fenix LD22 provides reliable illumination in a wide variety of applications. 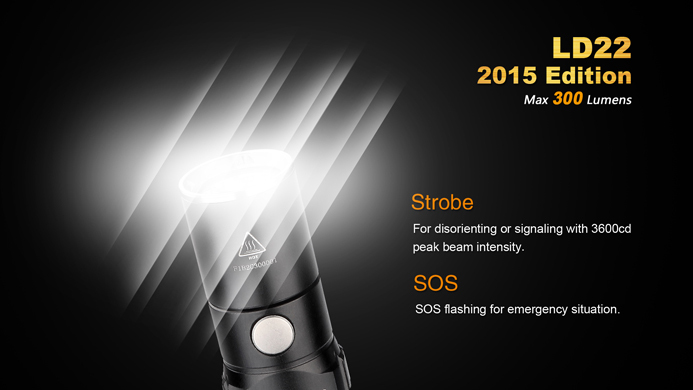 It offers four brightness levels, strobe and hidden SOS. 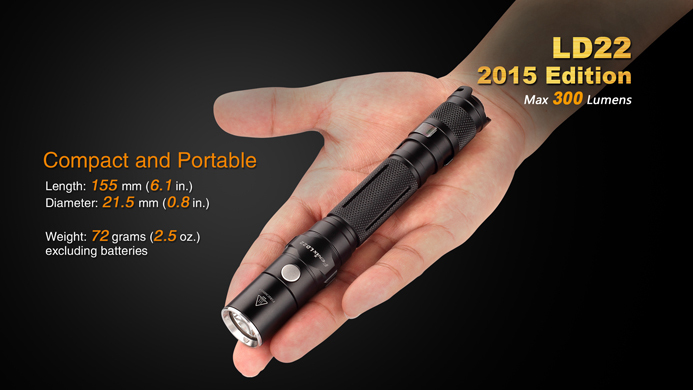 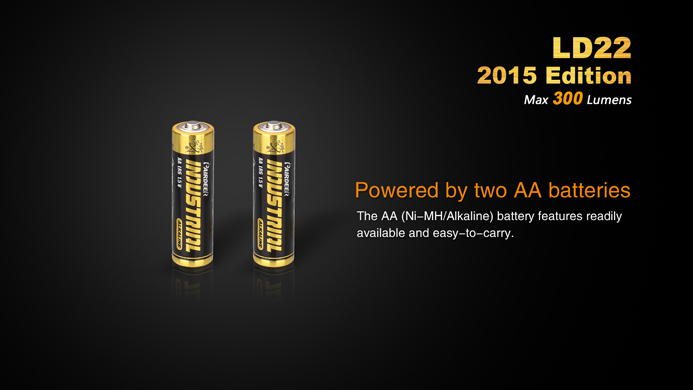 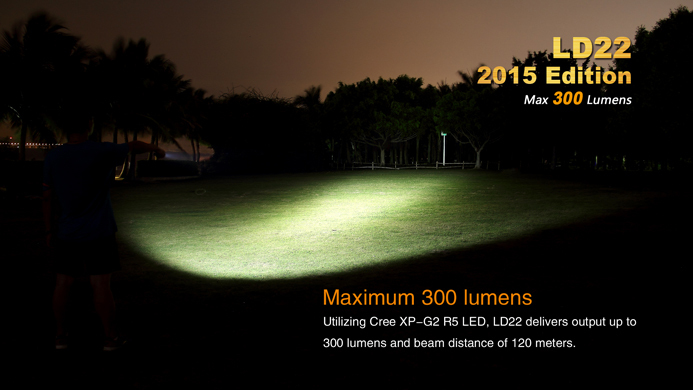 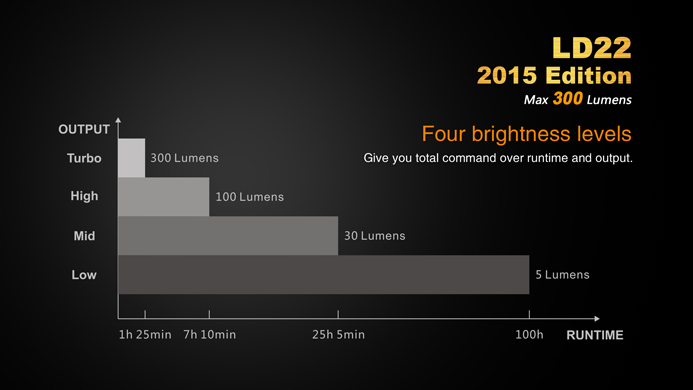 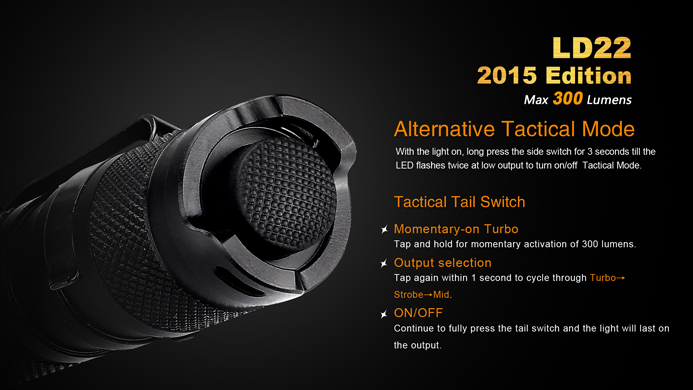 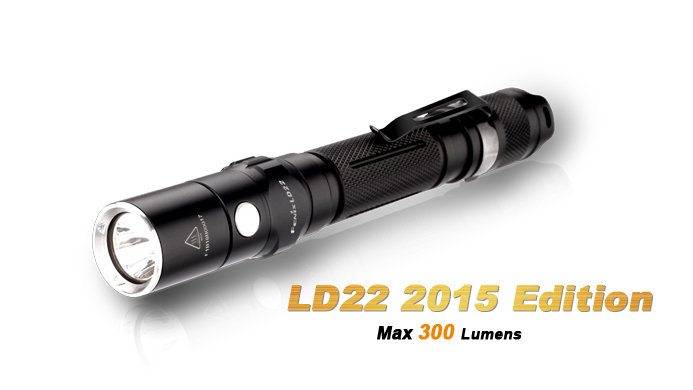 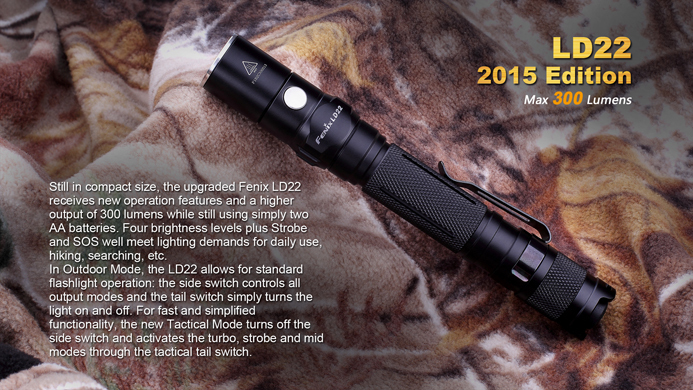 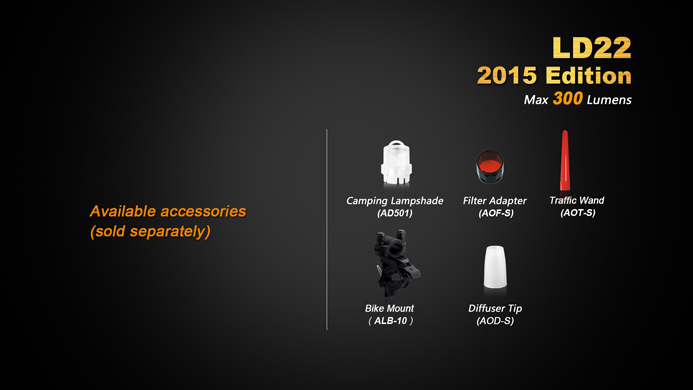 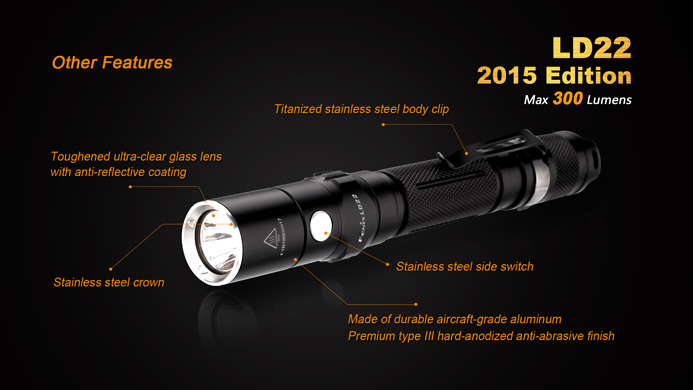 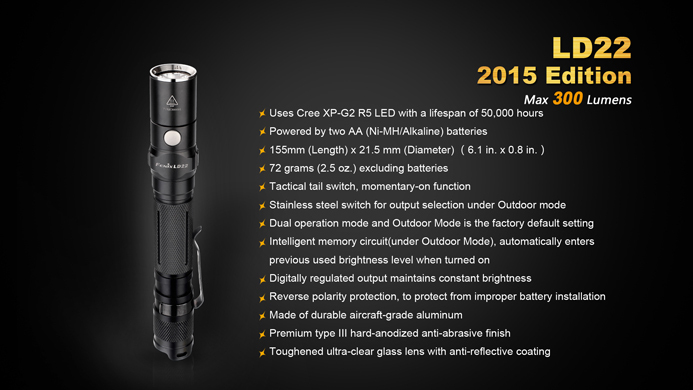 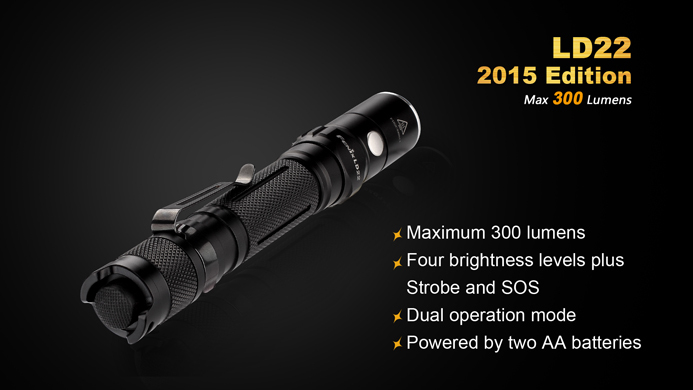 Powered by two AA batteries, LD22 delivers a max 215-lumen output and a 150-hour long runtime. 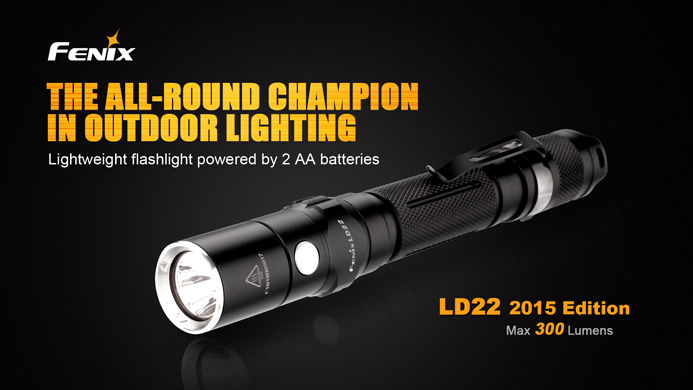 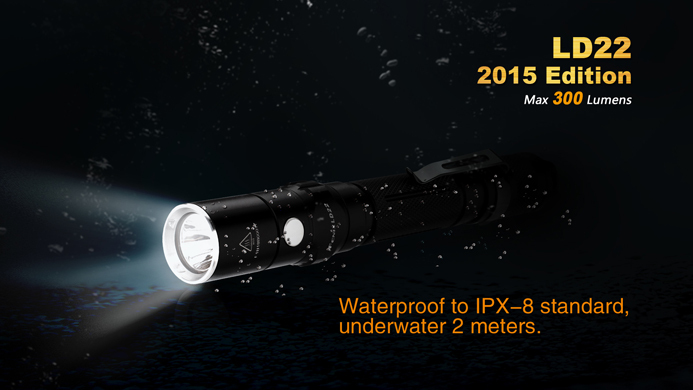 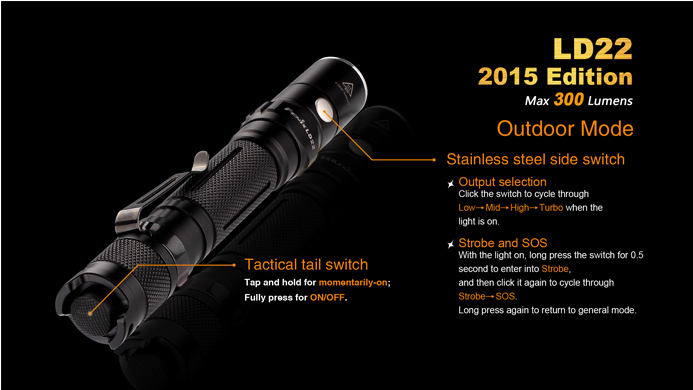 The compact flashlight must be your good partner to meet various needs in the outdoor and urgent conditions, such as camping, hiking, climbing and caving, etc.